It is a great honour to be invited to attend the ATAG Global Sustainable Aviation Summit and I would like to extend my sincere thanks to ATAG and its members for providing us with this wonderful opportunity. CITES (Convention on International Trade in Endangered Species of Wild Fauna and Flora)is a legally binding agreement between 181 State Parties that sets the international rules for wildlife trade. It regulates international trade in over 35,000 species of wild animals and plants, including their parts and derivatives. The nature of the various trade measures utilized by CITES to regulate this trade depends primarily upon the biological status of the species. 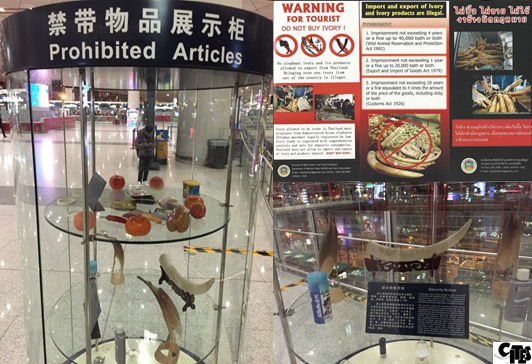 International commercial trade in some wild caught specimens is prohibited under CITES – such as trade in elephant ivory, rhino horn, great apes, marine turtles and tigers. International commercial trade in other specimens is allowed but it is strictly regulated under CITES through a permit system to avoid overexploitation – such as the legal trade in alligator and python skins, the meat of the queen conch, the wool of the vicuña, and the bark of the African cherry tree. This legal and sustainable trade can have benefits for both wildlife and people. A significant amount of wildlife and wildlife products are legitimately traded each year under CITES. Many of these items are transported by air and we have enjoyed a longstanding and beneficial relationship with IATA, a pillar within ATAG and the global aviation community, and at this year’s IATA Annual General Meeting a Memorandum of Understanding was signed between CITES and IATA, which commits our two organizations to work even more closely together, including in combating illegal trade in wildlife. 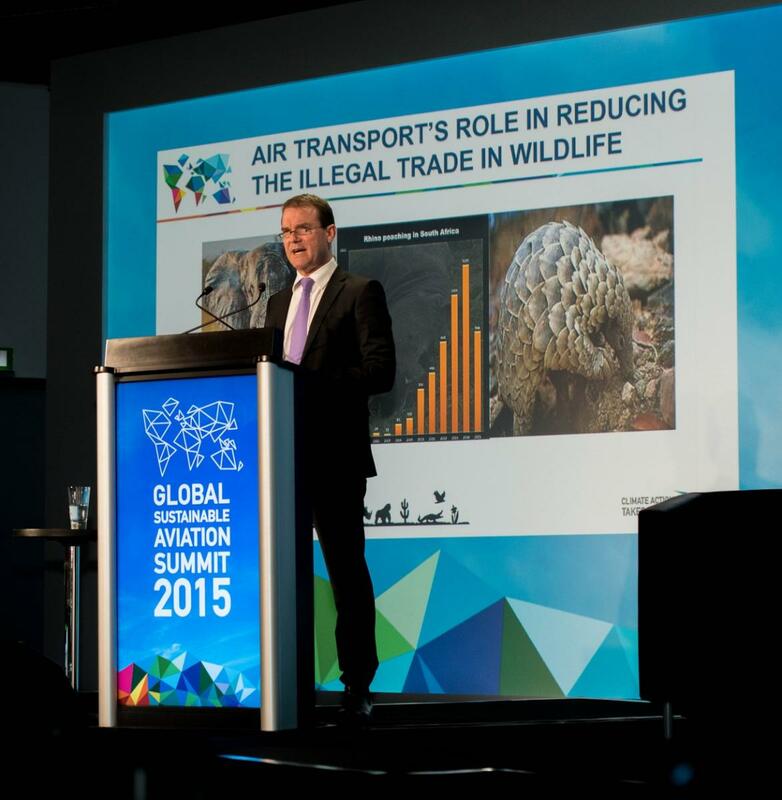 And, today I am here to talk about the devastating economic, social and environmental impacts of illegal trade in wildlife – being wildlife that is traded in contravention of CITES, how air transport is being used by criminals to transport their contraband and how the air transport sector can further engage in helping to combat this illegal trade. Over recent years we have been experiencing a surge in illegal trade in wildlife, especially as it affects elephants, rhinos, pangolins and some precious timber species. This illegal trade is global in nature and is taking place at an industrial scale. We are increasingly being confronted by transnational organized criminals, and in some cases rebel militia and rogue elements of the military. They are driving this industrial scale poaching and illegal trade destined for illicit markets – with the profits being used for all manner of criminal activities. This dynamic has been well recognized by the United Nations (UN) Security Council, UN General Assembly, UN Crime Commission, and INTERPOL, as well as many others. Considerable scaled-up collective efforts are underway to combat poaching and illegal trade in wildlife, yet it continues to be a major problem worldwide, estimated by some to be worth up to 20 billion dollars a year – ranking it amongst other serious transnational crimes such as the trafficking in people and arms. The poaching of African elephants and the illegal trade in their ivory is one of the most noticeable and destructive forms of wildlife crime. Over the period 2010-2012, an estimated 100,000 elephants were poached for their ivory. In some regions, such as Central Africa, killings far exceed births, putting regional populations at imminent risk of extinction. The recovery of the White rhino is a great conservation success story, mainly due to the efforts undertaken in South Africa, but these gains are now under threat. Poaching was well under control up until 2007 when only 13 animals were poached. Since that time we have seen a rapidly increasing level of poaching, which reached a high last year with 1,215 rhino poached in South Africa alone for their horn. And these crimes are not only affecting iconic species that we all know well. Lesser known species such as the pangolin, a small ant eater living in Africa and Asia, are being poached at a massive rate for their scales and meat, with 10 tonnes of pangolin meat being recovered in just one customs seizure – that is the equivalent of 130 people of my weight. In overall terms, there are less than 24,000 rhinos left on the African continent, with another 3,000 in Asia (including just 200 Sumatran rhinos). The last Javan rhino in Viet Nam was lost in 2011, and the last known rhino in Mozambique was lost in 2013, both to poachers – and the ranger in the photo you can see on the screen is protecting the last surviving male northern white rhino on the planet, which is under armed protection 24/7. Forest elephants in Central Africa declined by over 60% in ten years, wild tigers only number 3,200, and there are just 800 mountain gorillas left in the wild, which were featured in the brilliant documentary, Virunga. Distinguished delegates, we are quite literally getting down to the wire with many of these species – we are confronting a crisis and if we do not act immediately they will be lost on our watch. But the impact of this illegal trade is not just on wildlife, it also poses a grave threat to people and their livelihoods – as well as national economies and in some cases national and regional security. Brave rangers serving in the front lines are being killed and injured in the line of duty, officials are being corrupted, and local communities are being deprived of making their own development choices, including through the legitimate use of their wildlife resources. Many countries rely upon wildlife-based tourism to generate significant national and local revenue and jobs – and in some countries it forms a major part of their GDP, such as in Kenya. Magnificent wildlife destinations are being plundered by poachers for the illicit trade, including UNESCO World Heritage Sites that are being degraded across Africa, such as the Selous Reserve in United Republic of Tanzania – which has been included on the World Heritage ‘in danger’ list due to the high levels of poaching. 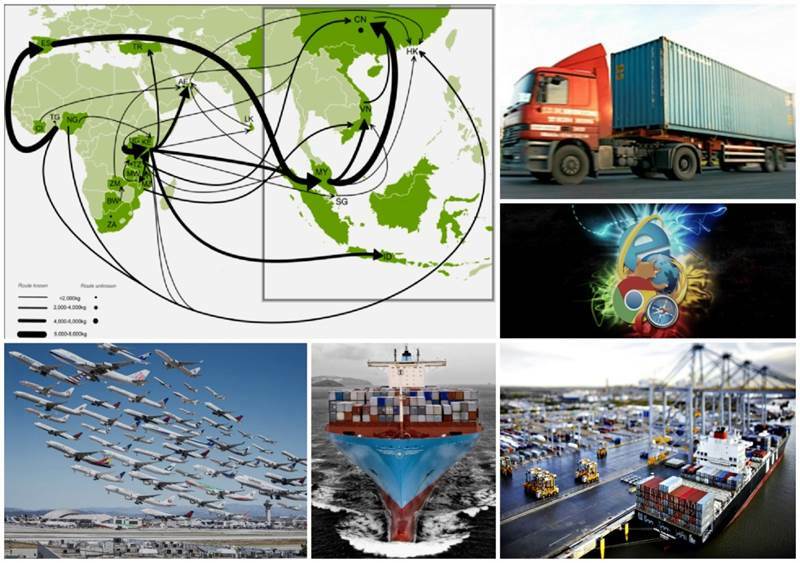 Against this backdrop, significantly enhanced collaborative efforts are underway to combat this illegal trade across source, transit and destination countries, tackling both demand and supply. We are fortunate to live in an interconnected world – something you know better than any other audience. 500 million containers shipped a year. Unfortunately, legitimate forms of transport are being exploited by transnational organized criminals and others to transport their contraband. This can pose a safety risk to airline staff and passengers and may also give rise to potential legal, reputational and financial risks to all actors in the air transport sector. Illegal rhino horn and pangolin scales are, for example, most often transported by air, and while raw illegal elephant ivory is being largely transported by sea, most illegally traded worked ivory appears to be transported by air. And if time permitted many more examples could be given. Illegal trade in wildlife is of an industrial scale, but in the context of the overall volumes of air and sea transport, we are often searching for a ‘needle in a haystack’, with only a tiny fraction of the overall cargo or passengers carrying illegally traded wildlife. This contraband will, however, travel vast distances and go though many hands on its way to illicit markets, meaning there are many points along the way where it can be disrupted. We need to be vigilant and our collective objective must be to maximize the risk to those involved in this illegal trade by taking every opportunity to disrupt it at every step along the illegal supply chain. We are certainly not asking the air transport industry to become de facto customs or enforcement agencies, which perform core functions of government. But enforcement agencies cannot operate in isolation, they require access to good information and intelligence from multiple sources and this is where the transport sector can play a critical role. Distinguished delegates, you have tens of thousands of staff in the field dealing every day with customers, clients, cargo, products, and passengers and you have a deep knowledge of your own facilities and supply chains on the ground and up at 10,000 meters. Airports, like planes, have a captive audience. In recent years, we have seen airports participate in public awareness campaigns to draw attention to CITES and the issue of poaching and illegal trade in wildlife. Today I have you, ATAG members, as a captive audience – and I reach out to all airports to put in place prominent CITES displays to raise awareness amongst the travelling public of the scale and consequences of illegal trade in wildlife, and of the serious penalties that apply to trading illegally. We offer our full support and that of our partners to help you do so, which can include using outstanding images taken by some of the world’s best wildlife photographers. Further to this, it is of the utmost importance that any legitimately traded wildlife strictly adheres to IATA standards and CITES requirements. Here, I would like to take a few minutes to make some brief observations about the aviation industry being lobbied, especially recently, to take a stand on certain legal wildlife products being carried as cargo – bans that go beyond the requirements of international or national law. In particular, the illegal killing of Cecil, a lion in Zimbabwe, in July of this year, generated a passionate and robust debate on legal trophy hunting, and on wildlife management more generally. It drew out many different perspectives – animal rights, animal welfare, conservation, local livelihoods, sustainable use and more. And public opinion was fuelled through the highly effective use of social media. Vigorous debates on issues such as these are part of the daily work of CITES – as the only global legal instrument that regulates international trade in wildlife, and the only international law to address certain animal welfare issues, albeit covering a limited range of such issues. Dealing with the fallout from incidents, such as the killing of Cecil the lion, becomes particularly challenging when emotions are running high. The impulse is to react immediately and in advance of a wider, more thorough and structured, policy dialogue – one that seeks out all perspectives, and in particular solicits the views of local communities living with wildlife, who are not so active on social media. 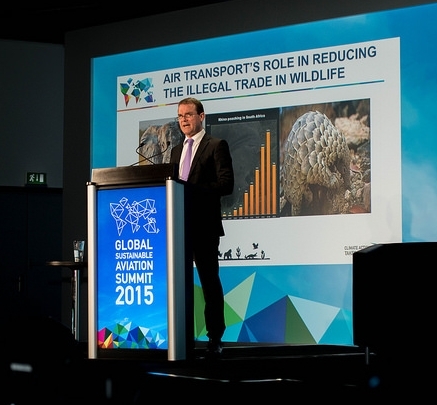 As Secretary-General of CITES, when it comes to the aviation sector, I sometimes get pressed to either encourage airlines to adopt such bans or to lift bans that have been put into place – I do not intend to do either. What I will continue to do is to actively promote full compliance with CITES requirements, both global and national, which form part of the essential fabric of the rule of law. It is up to companies to determine how they wish to respond to these campaigns. Companies can either choose to make their own judgments on such issues, of which there are many, or they can choose to strictly abide by the law and leave the resolution of the many differing viewpoints to be determined through agreed international and national processes. We have seen companies adopt both approaches in the wake of the killing of Cecil the lion. The choice is yours to make, recognizing, of course, that well established, open and transparent processes, do exist to address such issues, in particular under CITES, and you are most welcome to participate in these processes. 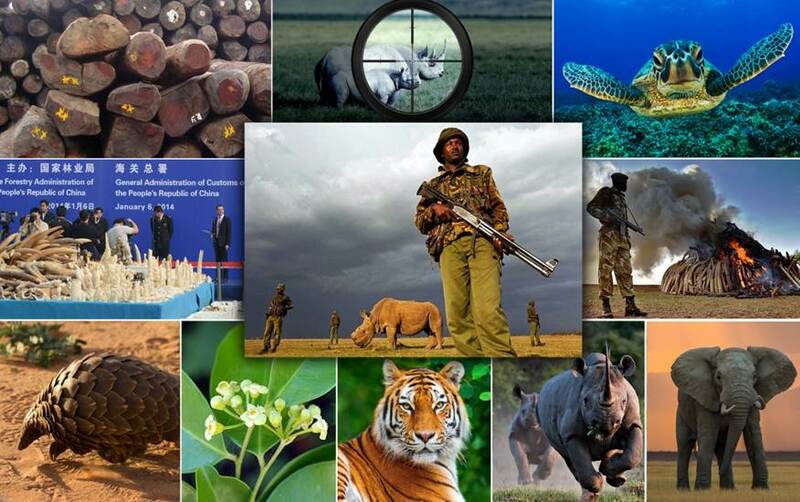 Colleagues, our clear focus is on illegal trade in wildlife. We are determined to stop it. This requires a scaled up, collaborative effort, in which ATAG members are key players. We have a lot more work to do together to achieve this critical objective of stopping illegal wildlife trade – and this is where we believe our collective focus should be. As an example of CITES’s cooperation with the aviation sector, the IATA CEO, the CEO of Emirates, the CEO of Kenya Airways, myself and other leaders are all part of a Transport Task Force established by The Royal Foundation, under the patronage of HRH the Duke of Cambridge and chaired by William Hague – a distinguished former UK Foreign Secretary, to address how the transport sector can assist in combatting illegal trade in wildlife. The Task Force will meet again in Dubai this week but its work will not be completed until later this year. However, we need to move fast and several airlines, including those represented on the Task Force, are already moving ahead. support customs and other enforcement agencies through the provision of information or intelligence gathered by your staff working on the ground. 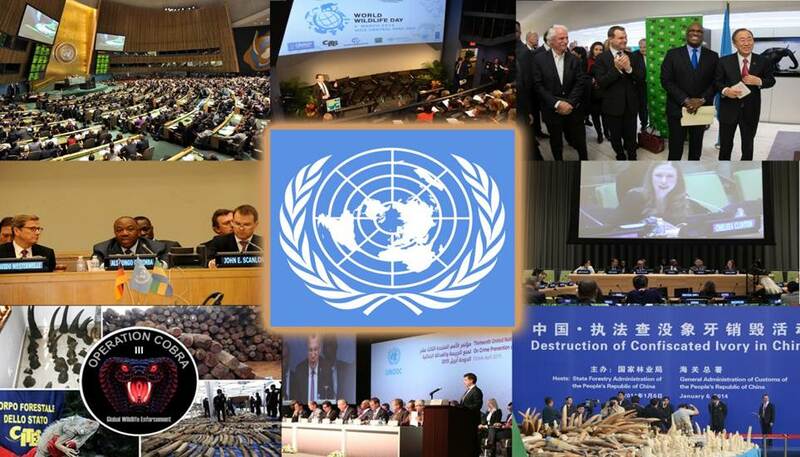 There is a global collective effort underway across governments, the UN, international and national organizations, local communities, the private sector, philanthropic entities, and dedicated individuals to combat illegal trade in wildlife – and the Sustainable Development Goals adopted by the UN General Assembly last week include specific targets on ending the poaching and smuggling of wildlife. Distinguished delegates the aviation community is a critical player in this endeavor. Several airlines are now deeply engaged, and today we reach out to each one of you to join in this global collective effort to bring these highly destructive crimes to an end – and we offer our full support and that of our partners to assist you as necessary. To see Power point presentation used with this speech, click here.